I've been doing some research lately into the pollution of pop culture and the mind control that the media has over the general public. It's no longer shocking to me, rather it's just becoming more predictable. 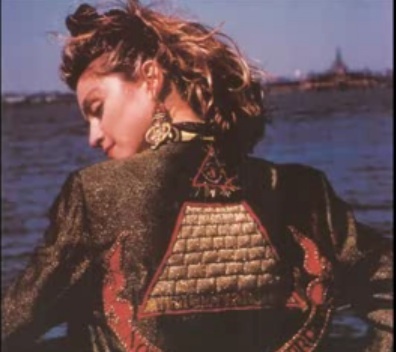 When I heard that Madonna was performing the Halftime Show at the Super Bowl, I knew there was going to be imaging, symbols, and illuminati references during the performance. I was right. But I had no idea it was going to be blasted EVERYWHERE like it was. The references are no longer subtle, and they are for sure real. If you want to turn a blind eye to it and remain naive, then you may as well log off this blog now. For those of you that want to know what the heck I'm talking about, allow me to explain. First of all, what is the Illuminati? ILLUMINATI: (people) a group of diverse individuals in varying positions of different fields including politics,﻿ media, business, religion, and more. 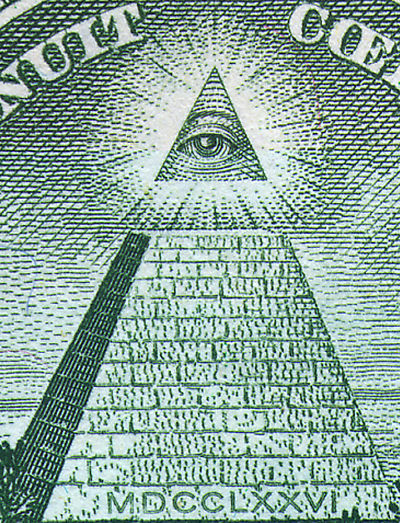 ILLUMINATI: (ideology) a group of beliefs comprising of various religions taken over time, from ancient Egypt, Babylon, Rome, and other pagan cultures. 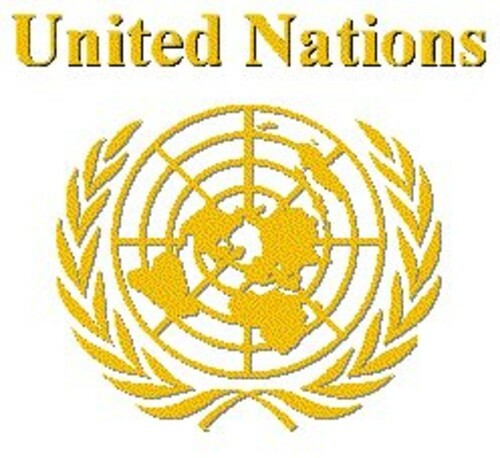 It lives on today in secret and open societies. The core belief is the 'illuminated masters' view themselves as 'gods' of a sort, destined to be superior and rule the masses of ignorant serfs. These people are taking control of everything from the music industry, media, movies, government, banks, financial institutions, stock market, you name it. The worst part is that it's happening right in front of your eyes. Most people fail to notice what's going on because they don't know what to look for. 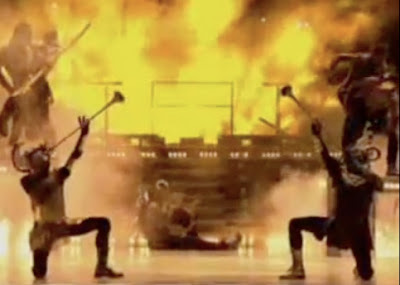 Music videos, for example, are one of the biggest outlets to showcase all of the satanic symbolism. 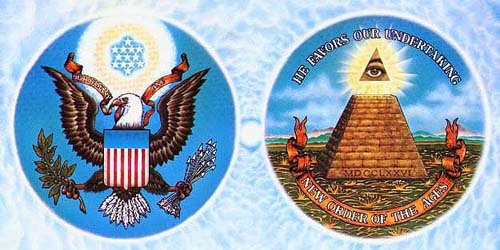 The Free Masons are in control and their symbols are blatantly plastered everywhere. Who are the biggest puppets? Jay Z, Rihana, Lady Gaga, Kanye West, Nicki Minaj, and Christina Aguilera. These people are like pawns to deliver messages subconsciously through images and lyrics. Again, most people don't understand what's going on so they see these videos and think, "Wow, that's cool and artistic." Yeah right. The videos are strategically planned and FULL of occult, satanic, and secret society imaging. I could write up an entire post just on that. Maybe I will. For now, let's get back to the Super Bowl. The mainstream media and secret elite societies play a role in shaping our lives. The people in power don't bother hiding it anymore--they throw it in our faces! 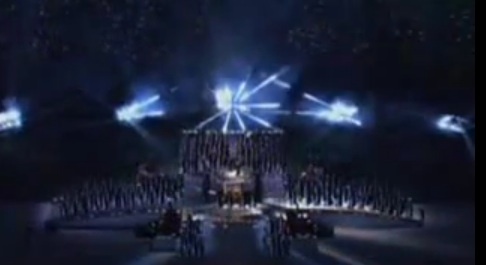 The show starts with a group of men dressed as Romans bringing out the "High Priestess," Madonna, on her throne. 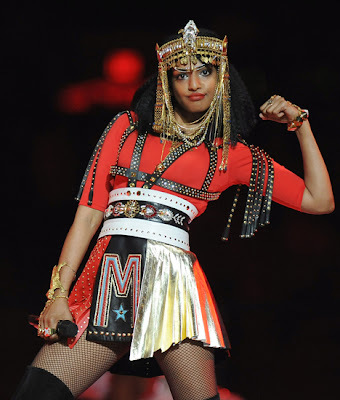 Pharaoh and high priests were worshipped as gods in ancient Egypt and here we have Madonna coming out for her flamboyant entrance like a high priestess--decked out in an Egyptian-themed performance. In a sense, the initial image is that of the slaves being separated from the gods, much like in ancient Rome and Egypt. Remember Pharaoh and how separated he was from all the petty little people? We see that here as she is carried out on her throne for everyone to worship her. The next thing we notice is the headpiece she's wearing. It's clearly a gold version of an Isis reference. Who is Isis? 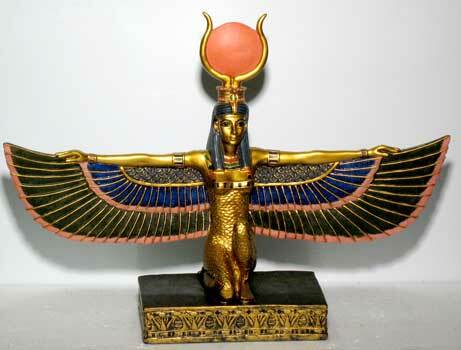 Isis was the only goddess worshiped by all Egyptians alike. The name Isis means " (She of the) Throne". Her headdress is a throne. As the personification of the throne, she was an important representation of the pharaoh's power. Baphomet is also referenced with the horned headpieces worn in the show. Baphomet is portrayed as a synonym of Satan or a demon, a member of the hierarchy of Hell. She's wearing the same crown as Isis. 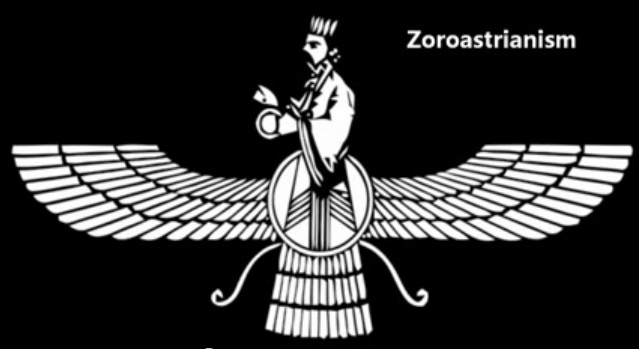 We can see the winged sides and the two eyes on top, like the eyes of Baphomet. Notice how her hand placement is no coincidence. 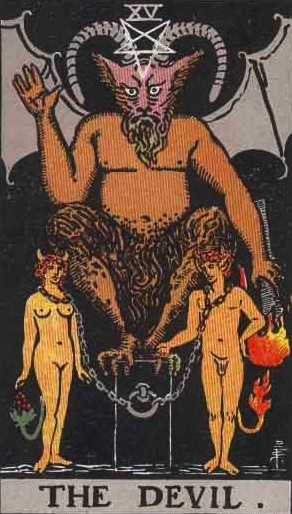 It is the the same position as all of the images of Baphomet. 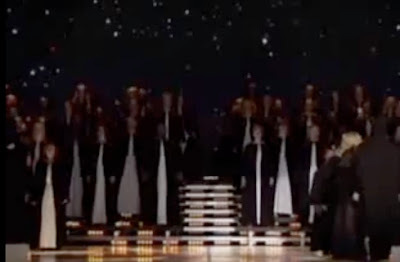 Look at the similar crown on one of the dancers to her right. He's wearing a golden 3-horned crown. It's no accident. See the 2 sidekicks near him? See the 2 sidekicks near her? The Free Masons also worship Baphomet and members of the highest level take sworn oaths to Satan. Hmmm. 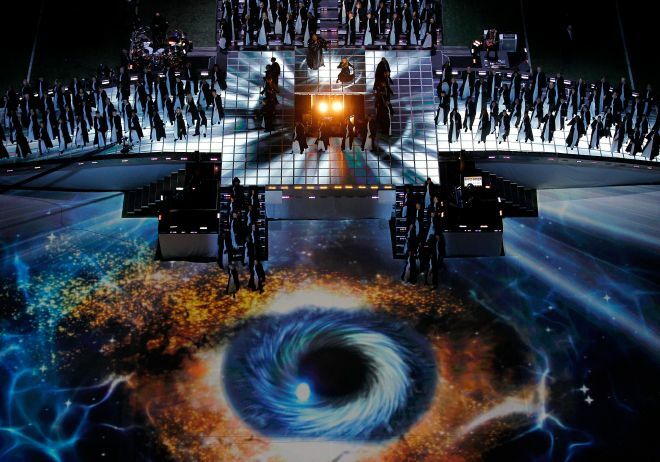 After that, the stage displays the reference to the sun and the all-seeing eye. You may be familiar with the all-seeing eye. In fact, you see it every day on the back of the US Dollar. You know, the pyramid with the floating eye above it? Are there pyramids in America? Of course not. They're in Egypt. So why would the US government print them on its currency? Because the money is owned by the elite and they have been putting their symbols in the public's face for many years now. This is like the all-seeing eye on the dollar--with wings like the winged sun disc. Note: The words "Annuit Ceptis - Novus Ordo Seclorum" translate into "Announcing the birth of a new secular order." Again we have the winged sun disc. Isis and her crown and wings. See all the pieces fitting together now? 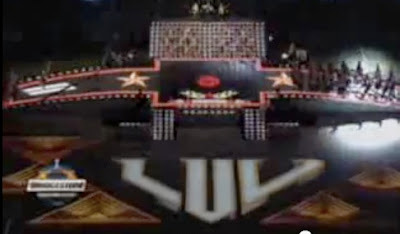 Another strong theme throughout the show is the 5 pointed star. The five-pointed star, known as the pentagram, is probably the most blatant occult symbol in use today. 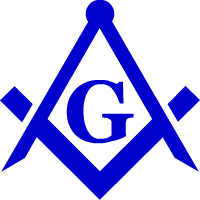 This symbol is one of the most prominent emblems within Freemasonry, though its significance, like every symbol inherited from the occult, is concealed behind a smokescreen of secret society ambiguity. If you want to get really deep into it, it has a reference to Tartaros, and it literally translates from Greek as a "Pit" or "Void" in Christian terminology (the word is used as such in the Bible, referring to the place where the fallen angels are fettered). It is a deep, gloomy place, a pit, or an abyss used as a dungeon of torment and suffering that resides beneath the underworld. Remember these 2 points as I will talk about them in a minute. Hey, there's one! It's barely covering her girly parts. Intended placement, much? was a coincidence in the costume department. 5-pointed stars on the stage, more pyramids ...and the word LUV in the middle. do another post on how real the mind control really is. Next we have another all-seeing eye plastered on the floor. Why? Why is there just a random eyeball? It's not random. This is so obvious as to what the message is. It's another freemason reference. If you asked the NFL commissioners why there's an eyeball in the middle of the floor what would they say? I'm sure there's no reason for this other than to show the public that the illuminati is everywhere and they are not afraid to wave it in your face. Notice the fire swirling around it? What do we associate swirling fire with? Oh yeah, Hell. Also, if you look above it, you can see a half-arsed formation of the wings again. The people make up the wings and there's the dark circle in the center. How much more blatant can they get? Annnnnd another pyramid just for fun. Do you see the devil horn sign he's holding up with his fingers? Pay attention to what's in the background: The 5 pointed star and image of Baphomet inside of it. Also note the color scheme, exactly the same as Nicki Minaj and M.I.A. 's costumes. 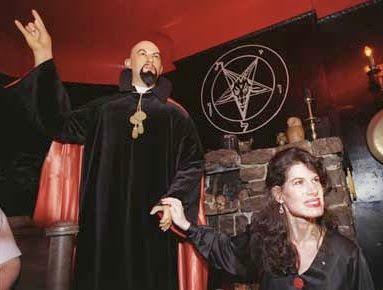 This self-proclamed satan-worshipper is also wearing a long black cloak. Well there's a shocker...devil horn hand symbols! The pic is kind of blurry, but look at LMFAO dude on Madonna's right. ...and Madonna in a long black cloak. Olive branches with the crown on top. Olive Branches on his shirt. Olive branches in the logo (13 leaves of course). WORLD PEACE at the end, huh? Pssh. 2 dark crows helping to form the winged phoenix. 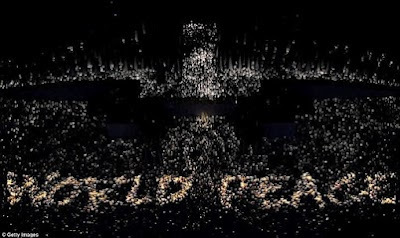 In the video, you can see the fire circling around and forming the world. Enveloped in fire and doing as the illuminati says will create world peace? Please. Olive branches on our money (13 branches). The stars above the phoenix (not an eagle because of the tail) also form a Star of David. Here are 13 leaves on the left olive branch with 13 berries. 13 stripes on the middle shield. 13 arrows on the right. 13 stars above the eagles head. 13 letters in the "E Pluribus Unum" on the ribbon. 13 letters in Annuit Coeptis. There are 13 blocks top to bottom on the pyramid. Fritz Springmeir in his 13 bloodlines says these 13 blocks represent the 13 Satanic families. Now you would normally read that as 1776, which is correct. That is the obvious meaning of those letters. But what is the HIDDEN NUMERICAL VALUE OF THOSE LETTERS? And what if we took all of the Roman Numerals together and added them up? The Romans used the following letters for their number system: DCLXVI with D=500, C=100, L=50, X=10, V=5, and I - 1. The M letter was not used until much later. Now if we take these letters and add them all up, we come to 666. These are all masonic themes (not so) hidden. Take a look at the logo compared to Madonna's logo on the stage. Don't forget "M" is the 13th letter of the alphabet. Of course it is. None of this is new to her. She's been a puppet/supporter of the freemasons and the illuminati since her early days. Think I'm crazy with all of this? Ha. Her jacket says it all. Back to what I was talking about earlier-- I said Tartaros literally translates from Greek as a "Pit" or "Void" in Christian terminology (the word is used as such in the Bible, referring to the place where the fallen angels are fettered). MADONNA'S LYRICS: "I close my eyes. Oh God I think I'm falling out of the sky..."
This is talking about the fallen one (Christians say "angel" , Muslims say "jinn"), aka lucifer, aka the devil. This is spoken about in the Bible, Quran, and is widely known that the devil used to be with God but is now on the dark side. What is Madonna's final scene? Oh yeah, her falling into a dark pit, symbolizing Hell and the underworld. The last thing she says is, "I hear you call my name, and it feels like...HOME." Boom. She drops into her dark pit. This is so obnoxiously obvious, I can't even take it. The world is changing and it's time for you to notice what's happening right in front of you. People are and should wake up. We should not be surprised that these powers just want more power. They cannot help it, their leader is Lucifer. He wanted to ascend his throne above God. He is being allowed to make a kingdom for a while. It will fail in the end. Hold on my friends to the Way, the Truth, and the Life. This is the patience of the saints, those that keep the commandments of God, and the faith of Jesus. Just another example of blatant occult and satanic ritual on TV. But again, it is great that people are waking up to the spiritual aspect of this. 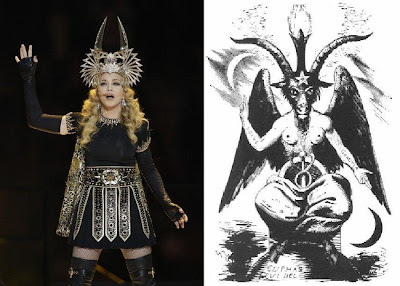 Here's a breakdown of the Madonna Halftime Show that goes more in depth into the satanic symbolism, kabballah and brings in the Biblical aspect as well. I didn't see the performance. Now that I've read this and examined the photos,I'm happier for it. Wow... just, wow. How can anyone say all of those things are coincidental? Even a non-believer of these things can't deny it. It's all right there. I personally find it extremely ugly. All of it. Has anyone tried to bring it more to light or stop this? this stuff is certainly true and i have been researching it a lot. do you also know that this is the Dajjal system? symbolism of one eye!! have you seen The Arrivals and do you know sheich Imran Hosein, who connects current world events with Gog/Magog/Dajjal and endtime signs?? last but not least... are you on Face Book? I think a lot of people were blind to this type of stuff when it was more subtle, and now that it's blatant they feel it's too obvious to be true. It's like either way some people just won't get it. Also, the all seeing eye happens to be the symbol for CBS. Interestingly enough, they hosted the Grammy's last night which was also full of demonic references and imagery. These are perilous times we're living in. There was more Mercury dance around her with a harp.Mercury Money and finance and More. Madonnas crotch showed signs of some pretty nasty abuse and deep bruising when she got flipped you could see it as well as the star. 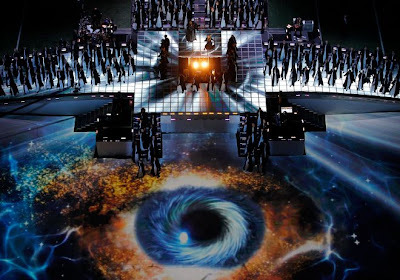 The Superbowl “Day of Atonement”, Madonna, the High Priestess of the Illuminati industry, entered the Holy of Holies of America and delivered a 13 minutes sermon that was heard by all…but understood by few. I wish the pictures showed up on my screen, but even without them, I have the heebie jeebies man. So sick. 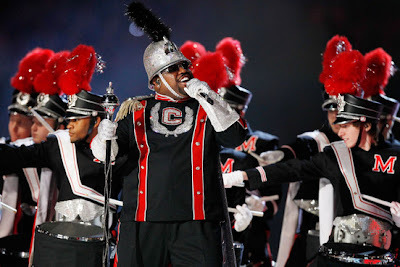 I'm glad the superbowl my hubby downloaded did not feature the halftime show. Thank God for small mercies. How do you know all this and what does it mean Jaime? @Moroccanmama, I've been doing a lot of research into the hidden messages within the music industry. Madonna is definitely not alone here. Rihana, Jay-Z, Beyonce, Kanye West, Lady Gaga, and many other artists are part of this. The more you research, the more you'll discover and the more you'll be awakened. Look for it. I'ts out there. Of COURSE you'd post anonymously. What's the matter? Can't show your real name? Have to hide behind the "anonymous" title? Don't forget: Me and my "batshit ideas" are posted on MY PERSONAL BLOG. This is called freedom of speech. Who held you at gunpoint and made you log onto this blog? Better yet, why are you searching for this topic if it's so stupid? YOU are the one looking it up online and worse--taking the time out of your day to comment on it! Are there any websites to find out about artist like Madonna or artist like Jay Z and Beyonce? I saw your interviews and thought I'd check out your site. Since you claim to have worked in the industry in question I would think you would have a better insiders view to all of this and could actually give background information. You failed to do that. And your personal blog is open free to the public, expect and accept criticism. I see you are now moderating all your comments, that is interesting. Yes I have worked in the industry--it's not just a "claim." What other background information would you like? I gave plenty of examples and an in-depth look at what is going on. What is it that you're looking for that you can't find? And the woman making a fist is wearing a Mason-type apron. 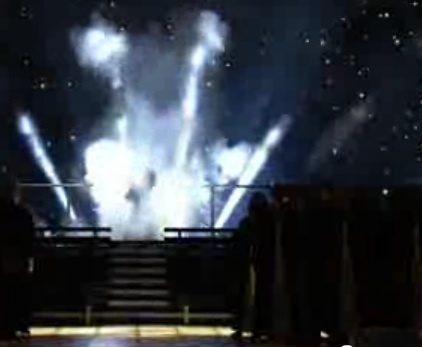 Um, JB check it... a brilliant add-on video describing the Tupac hologram at Coachella! Some of this is pretty interesting but you are reaching about the pentagram part. Those are not pentagrams. Pentagrams have five solid lines, there has to be full lines, not outlines like most (if not all) of those are. According to you, kindergarteners are earning gold pentagrams at school and the American flag has 50 pentagrams on it. Other than that, intriguing information. The 2 references I made (the costumes and stage stars) are filled in, and not solid lines like you suggested. This creepy! I don't find this as scary as fascinating. This conspiracy crap is so fun to read about! Then wait and see what happens because God can save you but devil can kill you!